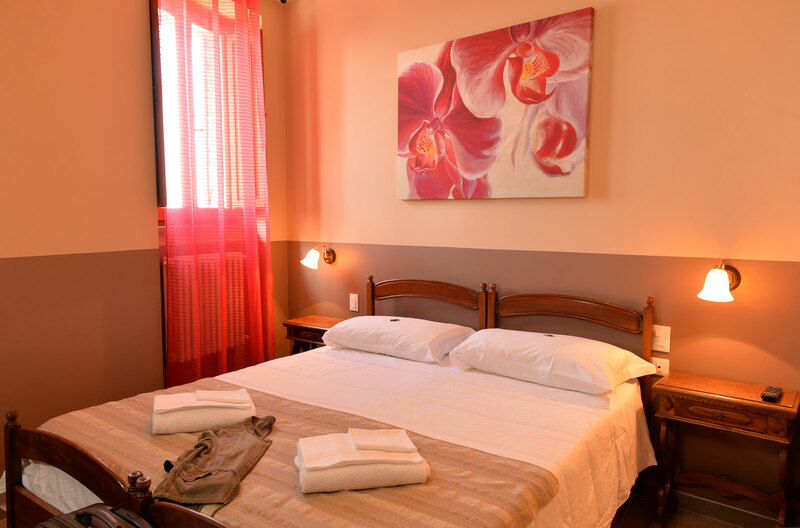 Confortable and romantic rooms with warm tones, in a contemporary style. Bright window on main street San Francis with a view on the magnificent San Francis Church. 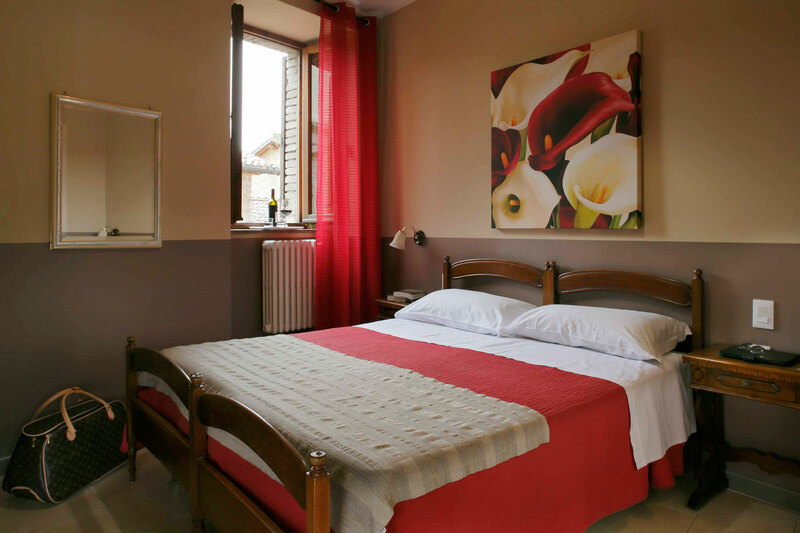 Rooms are located in two floors. 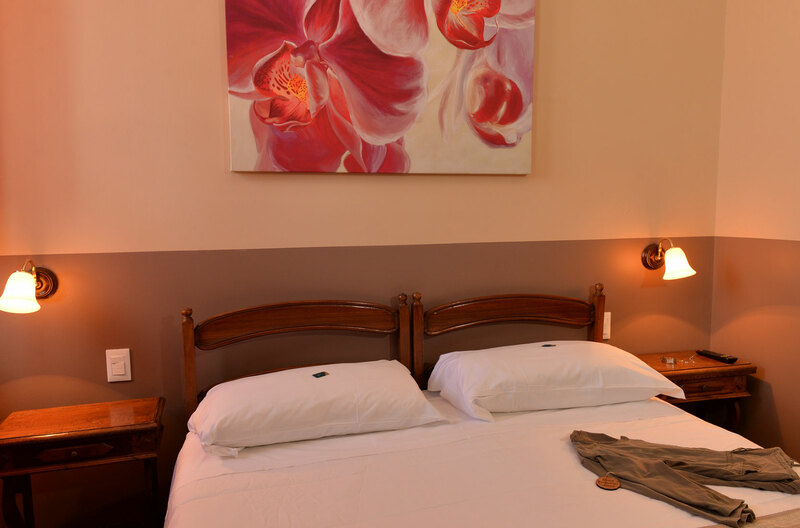 Rooms are available with one double bed or twin bed. 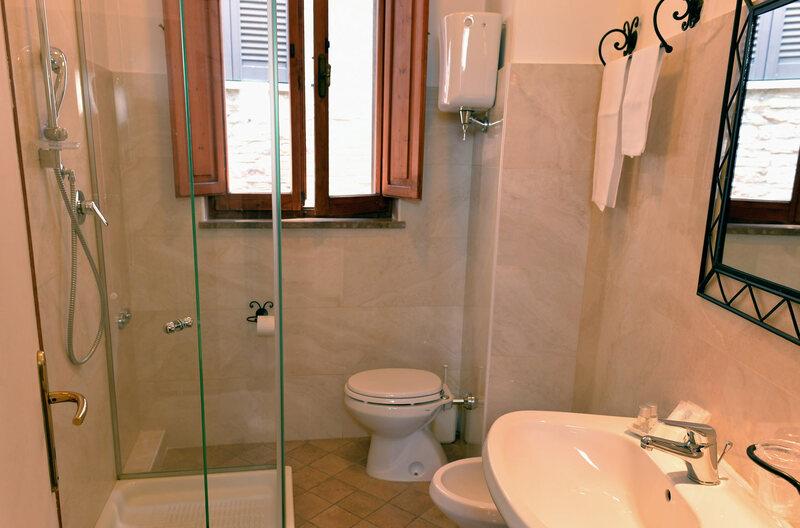 They are equipped with: LCD satellite television, private bathroom with shower and window, hairdryer, complimentary toiletries, heating (central and private) self air conditioning. 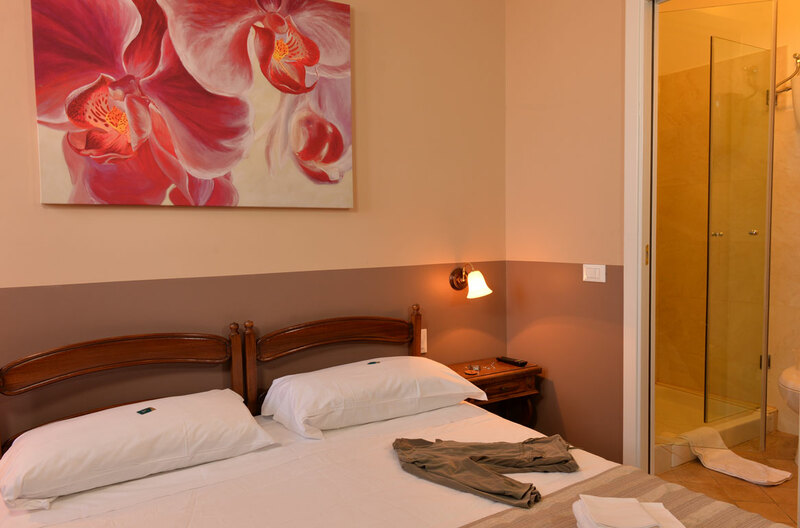 All the equipment is designed to provide the maximum for your stay.